Fruit and vegetable juice contains all kinds of nutrients that human body needs, especially the content of vitamin C is more abundant. It can prevent arteriosclerosis, anti-aging, and increase the immunity of the body. Fruit and vegetable juice is a popular drink. 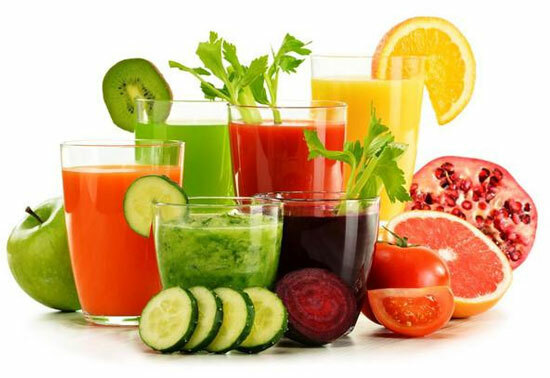 The common fruit and vegetable juices are orange juice, pineapple juice, grape juice, apple juice, guava juice and carrot juice. 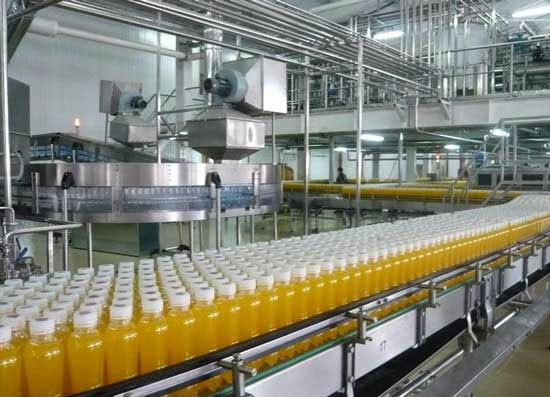 Natural fruit juice (original juice) drink, fruit juice drink or fruit juice drink with pulp, the basic principle and process of their production are roughly the same. Fruit juice production process mainly includes fruit raw material pretreatment, juice extraction, clarification and filtration, homogenization, deoxidization, concentration, ingredient adjustment, packaging and sterilization. Fruit raw materials should have good flavor and aroma, stable color and moderate acidity. In the process of processing and storage, they still maintain these excellent qualities and have no obvious adverse changes. 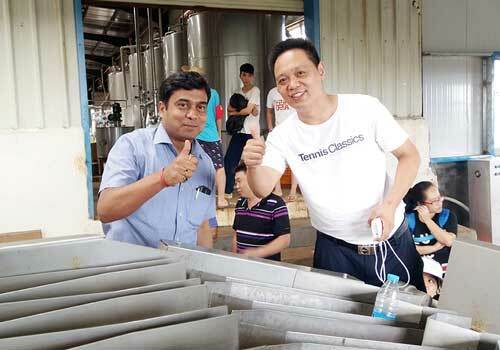 The fruit juice is rich and easy to take, and the extraction rate of juice is high. The fruit is fresh and not rotten. The purpose of crushing is to increase the yield of the juice. Pretreatment before squeezing: Heating or adding pectinase. The method of juice extraction varies according to the structure of the fruit, the existence part of the fruit juice, the nature of the tissue and the quality requirement of the finished product. Most fruit juices are contained in the whole fruit, which can be crushed and pressed directly. Fruits with thick skins (Citrus and pomegranates, etc. ), extracting the juice one by one or firstly removing the peel. 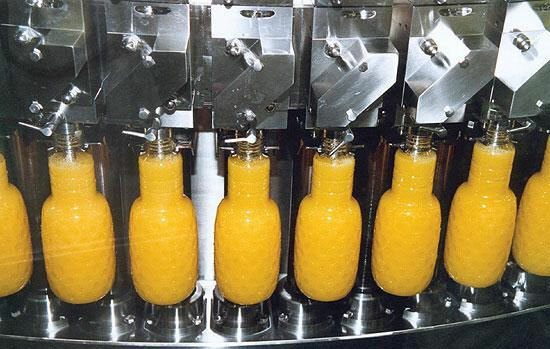 The yield of fruit juice depends on the quality, variety, maturity and freshness of the fruit, the processing season, the method of squeezing and the efficiency of the juice. Heating condensation clarification (Simple and effective). Homogenization is special requirements of cloudy juice production, used for glass bottle packaging products, tinplate products rarely used. Frozen preserved fruit juice and concentrated juice do not have to be homogeneous. There is a large amount of oxygen in the juice, which will destroy vitamin c in the juice. The reaction of oxygen to various components in fruit juice makes the aroma and color worse, will cause internal corrosion of tinplate. It is more obvious at the time of heating. The method of vacuum degassing and nitrogen exchange are often used. Adding a proper amount of sugar and edible acid (citric acid or malic acid) into the fresh juice. Determination and adjustment of sugar degree. Determination and adjustment of acid content. The selection principle of sterilization process is to kill the microorganism and reduce the effect on the quality of the product as much as possible. The most commonly used method is high temperature and short time. 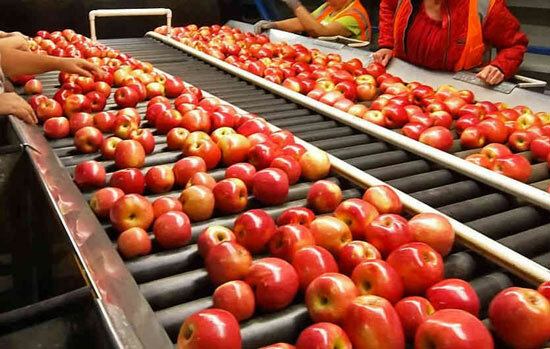 Washing and sorting, apple juice extraction, apple juice clarification, concentration and sterilization, apple juice filling and packing. Fruit elevator, fruit sorter, brush type citrus cleaning, fruit bubble washing machine, pineapple peeling and squeezing, fruit pulping. Sorting and washing equipment, essential oil extraction machine, peeling and squeezing machine, refining machine, filling machine. Washing, sorting, peeling, destoning, pulping, filtration, degassing, homogenization, concentration, sterilization and packaging. The difference of processing technology between concentrated juice and pure juice is that flesh pulp of concentrated juice must be as few as possible. Otherwise, it can not only reduce the concentration efficiency, but also cause the phenomenon of coking and so on. Hawthorn pectin content is rich, so it can not be processed by the method of crushing and extracting juice. The technologies used at present are hot soaking and enzymatic treatment.